“Mooooommmmm, I don’t want to go to the sitter’s,” seven-year-old Elaina says in a high-pitched, sing-song (as in a fingernails-on-a-chalkboard, not melodic) way. The powerful whine is wielded to get her Mom’s attention. And it works every time. How can you not hear, turn toward, and grimace at that tone? In fact, research confirms what we already know — that whining is the most annoying sound we can hear even beyond crying or yelling which also makes it a power tool for our children and teens. Though whining peaks between the ages of two and four, this tool is not limited to the young. We encounter adults who whine in the workplace when the work is stacked high or whine at partners who face a pile of dishes. get a physical need met. Hungry? Tired? A mash-up of these is more often the case. get an emotional need met. Children may be upset and seeking your support and understanding. seek comfort and solace in behaviors from their younger years. As our children grow older, they retain all of the ages and stages from their past and can fall back to old habits when they are feeling sensitive and vulnerable. gain control of their situation. If your family has been particularly stressed, you might experience your child whining more frequently. avoid responsibilities. Children can feel overwhelmed by the mound of school work they have or a full messy room you are directing them to clean up. Our responses then can be most successful if we address their motivation. Keep in mind that all whining is a request for your attention. How you respond can turn around the situation so that your child feels supported and knows how to gain your attention without using his power tool: whining. Here are the top ten easy tips. Naturally, we’ll want to cringe when our child whines. After all, that’s the intended reaction to bring our full attention to our child. But if we think ahead and decide how we’ll react, we can lessen future whining instead of unwittingly encouraging it with our negative responses. What can you do to help yourself remember to stop, breathe, and pause before responding? Post a note on the refrigerator? Wear a red bracelet? Then, practice moving toward your child to show support. If you are too annoyed and it will clearly show in your voice, don’t talk. Place your hand on their shoulder, rub their back or hold their hand. Show that you are trying to understand and support them acknowledging they are having a rough time. If you react in upset, this rise out of you will reinforce more whining. They’ve gotten you excited and they were hoping to do just that. So it’s worth taking a moment to breathe. Teach Positive Ways to Ask for Attention. What could your child say or do that would guarantee your attention to their needs? Often we inadvertently reinforce whining only offering our focused attention when that annoying communication tool is used. Instead, practice ways your child could genuinely gain your focus. 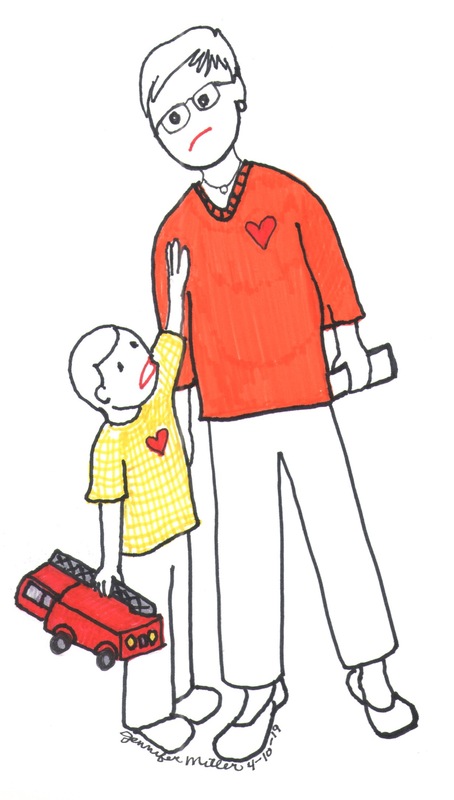 “Mom, I could really use a hug right now,” “Dad, I want to tell you about what happened to me today,” or simply, “Excuse me, Mom.” After practicing together what you want your child to say, work on recognizing when they are asking in appropriate ways and give them attention in response. Also, if your child is frequently interrupting you when you are talking to another, how can you create a hand signal to get your attention so that they don’t have to interrupt you to get their needs met? Maybe they raise their hand or you give each other a high five indicating you’ll be with them in just a minute. If you have a young child who may not be as comfortable with words, you may practice a signal that they can consistently use. For example, a preschool teacher guides young children to place their hand on her arm and she, in return, places her hand on their hand. This signal is a positive way they’ve agreed children can seek her attention. If your child is whining for greater connection, they may only increase their efforts until they get that attention from you. If you have multiple siblings to share your attention among, why not create a daily ritual in which you can solely focus one-on-one time on each? Perhaps bedtime is an opportunity for a five-minute time to connect and share with one another thoughts from the day? When the whining occurs, you might mention that you are looking forward to that special time together. The whining may be occurring because your child is feeling sensitive or hurt. How can you help meet that emotional need? First, name the feeling to help your child figure out what’s going on inside of her and show you are working to seek understanding. “Are you feeling sad? How can we help you feel better?” might be all that is needed — that and a good hug — to chase the blues away. Also, reading and learning about your child’s development at each age and stage can help extend your patience as you gain understanding realizing that they are working hard to learn particular physical, cognitive, social and emotional skills. Can you tell if your child is simply worn out? Time to take a break, enjoy a quiet time, or work on a consistent bedtime routine so that a full night’s sleep awaits. Do you know your child is hungry, or in this case, hangry? Try out a high protein snack to see if it might do the trick. Children can easily become overwhelmed with too many choices or too many tasks. And that overwhelm can contribute to whining and giving up trying. That’s why it helps to recognize when they are feeling like it’s all too much. Break down any homework or clean up tasks in one small step at a time. “Do you want to put away your Legos or your books? Or “Do you want to begin with your math worksheet or spelling words?” Turn on some music while you get clean up tasks accomplished to add enjoyment. This will teach them how to manage their workload and prevent future whining episodes. If your child is seeking comfort in acting as she did in her younger years, take notice. How can you relive some of the joys of those younger days or relish in old comforts to help soothe a weary, growing child? You may get out a long-forgotten toy or stuffed friend. You may watch videos of her toddler self. Reflect on the best of those times and also the best of these times. What makes this particular age so uniquely wonderful? Whether you are moving, renovating, having a baby, or dealing with the passing of a loved one, these stressful times can become ripe conditions for your child to whine more. And those are precisely the times when we do not react well considering that we may already be stressed to our limits. So during particularly stressful times, we can help ourselves by creating more frequent opportunities for loving connection with our children. Add more hugs, more snuggles, and more time to read together to help get through the rougher times together showing support for one another. Simply put, if you are dealing with a whining child, it requires a little more of your time to focus on that child. As you offer more positive connections, you’ll experience less whining. And all family members can feel a greater sense of loving connection. ← Starting Today…Building Confident Kids!